Ok, so it’s no secret that I’m a Fitbit fan. I got my start with the Alta and it saw me through the longest race I’ve ever done, an intense 11km trail run on a wine farm. While training for it, I loved being able to track my progress via the Fitbit app and racking up all those free Vida e Caffe coffees via Discovery’s Vitality rewards programme along the way was pretty awesome. I later moved on to the Fitbit Charge 2 and love that it’s got a heart rate monitor. I now get a more accurate read on how I’m doing and, because it takes my heart rate into account to see how hard I’m working, I get even more points. But that doesn’t mean the Alta’s been forgotten about. That went straight to my run buddy, my flatmate Gaylene, who’s been wearing and loving it the moment she slipped it onto her wrist. As the Alta has a slimmer design than the Charge 2 you almost forget that you’re wearing it and, let’s face it, it’s a lot sexier looking. Also, you can dress it up with an array of straps that include leather and metal variants and even a collection designed by Vera Wang. This is my favourite Vera. Mooi, ne? 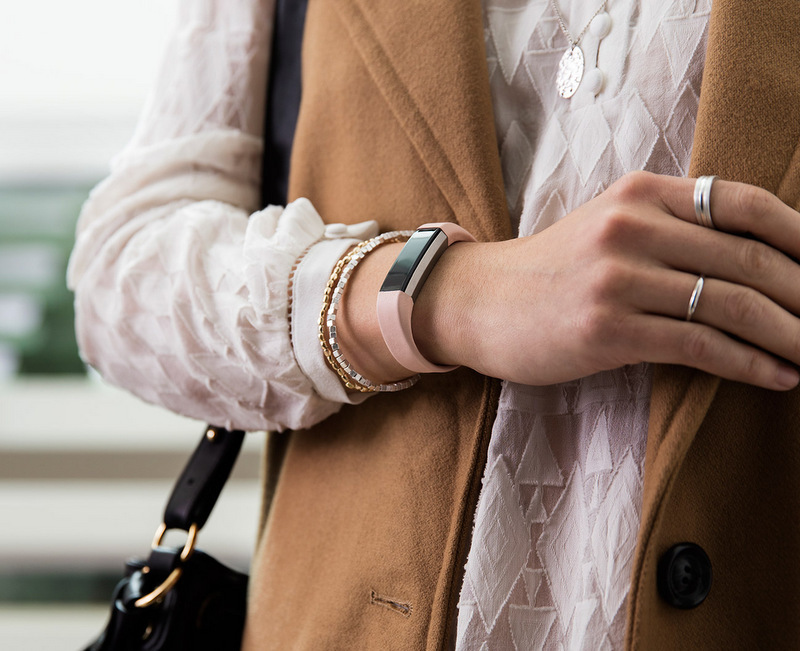 You can view the Fitbit look book over here. Entering is easy and there are multiple ways to do it. The first is to hit up on twitter with ‘Hey @lipglossgirl! I’d love to win a @FitBitSAfrica Alta and leather strap’ and include the link to this post. The second? Find my Instagram post about the comp (I’m @lipglossgirlxoxo) and leave a comment telling me why you want a Fitbit. You can also pay a visit to my new Facebook page, give it a like and enter over there. Lastly, you can enter by leaving a comment on this post telling me which FitBit strap caught your eye in the look book. I’m torn between the Simply Vera Vera Wang black leather + metal (pictured up top) and the Blush Pink Leather (below). This competition closes on 9 June 2017 at 5pm. It’s open to South African residents only and two winners will be drawn from all pools. Good luck guys! May the force of le Fitbit be with you! This competition is now closed. A big congrats to winners Tarryn Henrick and Falon Johnson! Love the leather band in Lavender. Oh my gosh. I didn’t even know there was a leather strap. It is absolutely perfect and will be perfect to wear in a work environment and still look professional. Absolutely in love. I love the black Vera Wang Alta … but in saying that I’d love either of them. My wife would be over the moon with either of them. She deserve the spoil. Love the lavender leather one!! The Black Simply Vera Vera Wang is my favourite. Sleek, understated and classy. Love! The soft pink/22k rose gold plated Alta is a beauty! It’s one of the special edition ones. I used to have a Jawbone, but the strap broke in less than 3 months and the replacement that the supplier sent was faulty. Knowing how many steps I took in a day really helped motivate me work out more. So I would really really love to win one to help get me motivated again. Love the timeless look of the brown leather, and the feminine soft pink/22k rose gold plated Alta too. What to choose, what to choose?! Definitely the Simply Vera Vera Wang black leather + metal. My fave is most definitely the Blush Pink leather strap. Beauuutiful! The blush pink FitBit strap caught my eye! It reminds me of my favorite Flamingo bird. 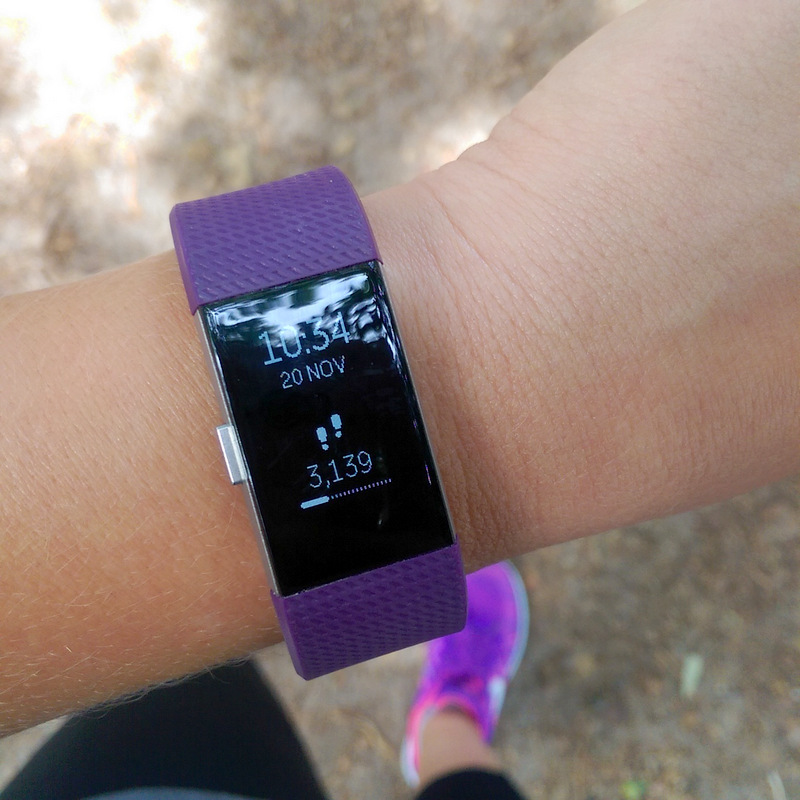 I absolutely need this FitBit Alta in my life as I need to desperately get my A into G and start running again and winning the FitBit Alta would inspire and motivate me to start running again. ooooh the pink one is fabulous! I didn’t know they had such stylish strap options! My favourite is the Vera Wang Black leather strap. So chic and simple. lavender or indigo blue. very stylish. Vera Wang is amaze, but I don’t know how well the HR monitor would work sine it’s not on the skin? Love the 22 carat gold plated and the brown leather strap too! I love the Vera Wang black leather and metal. Lavender Leather is my favorite!!! Ahh I’m totally a rose gold woman so the rose gold strap caught my eye right off the bat – eek! That FitBit would look amazing on my wrist, Leigh! I absolutely love this it. The Vera Wang Leather and Metal one does it for me! Really love the Indigo leather – just starting a proper fitness regime so this would be a great addition and provide some proper (and super stylish) motivation! The lavender leather version is beautiful! I feel like I wear so much black as it is, that a pop of colour would be a good option for me. Holding thumbs!! The metal stainless steel us absolutely devine!! The FitBit strap that caught my eye is the Indigo Leather strap. I just started on a 3 month gym/workout program. I have never gymed before so I’d really like as much support as possible and I feel the Fitbit Alta would be a great gym buddy. I love love love the fitbit Metal bracelet in Stainless Steel. It looks like a designer jewellery piece rather than a functional item! love the Vera fitbit has been on my wish list for this year started a 8 week challenge lost the weight and did so well – unfortunatly I got sick for a month discovered I have pre menopause and fibroids – would like to get my A back after my op!!! Can I say Tory Burch even though they are still coming? Otherwise the Stainless Steel. Defs the vera wang one! SO pretty! Oh my! That Simply Vera Vera Wang black leather & metal is the absolute prettiest! I adore the Simply Vera Vera Wang black leather – sooooooo chic! Vera Black is SO GORGEOUS!!! Also kinda like the indigo. Fingers crossed!! Love the Vera Wang black one. Lavender is also really pretty. I am torn between the Vera Black and the Metal Bracelet in Stainless Steel. They are both gorgeous! My favourite is the Special Edition Black/Gunmetal strap as it will go with everything I wear. My daughter would love this .. and its her bday coming up soon. Oh my word, the Simply Vera Very Wang one is gorgeous. So elegant and can match any outfit – business, casual or gym. Please pick me!! Black is elegant, timeless and always in fashion!! 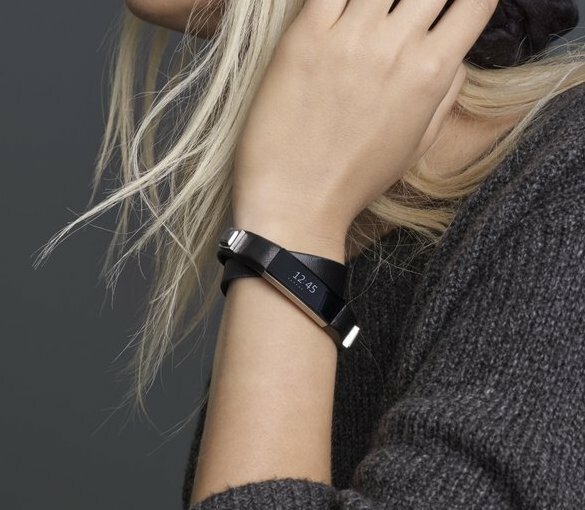 Still can’t believe this is FItBit – it not only looks fab but also multitasks. I would love to wear this on my wrist as I monitor my new exercise routine. The Lavender or Indigo leather were my two favourites. Blush Pink Leather is gorgeous!!! Luv it! Love the Simply Vera Vera Wang black leather + metal one!! Love the Simply Vera Vera Wang Black Leather and metal! Both. The blush pink is soft and feminine and it seems like pink is in this winter. The black is sleek and sophisticated and I love that is doesn’t look clunky and sporty. The black Double Wrap Leather + Metal Bracelet from the Simply Vera Vera Wang collection is perfection! ❤️ All of them look good, but I couldn’t help but go back to the pic of that one each time! oh wow, the Lavender leather caught my eye. I can already see it on my wrist. Definately the Luxe Collection Metal bracelet in 22k Gold plated. Absolutely divine. OMG – I think I am in love! Simply Vera Vera Wang black leather for the win. The soft pink/blush pink leather … It screams my name!! The metal bracelet in stainless steel for sure although the Vera Wang designs are lovely too. A Fitbit Alta would be amazing to have! I love Fitbit and have a basic Zip but being able to upgrade would be incredible! Oh wow! What to choose! ? Either the soft/pink 22k rose gold plated strap or the blush pink leather strap! definitely the blush pink one! Difficult choice! But it’s between the Simply Vera Vera Wang black leather or the stainless steel one. Indigo Leather is my favourite! The Black leather strap is a must have! It is so simple and elegant and will go with just about any look in my wardrobe. It’s so versatile and perfect for all occasions. I’ve never seen anything like it! I love the Vera Wang Black Leather & Metal strap, I love the simple elegance of it! I love the Simply Vera Vera Wang black leather too! Very stylish! Hopefully I can win this for my sister. I updated the post yesterday with their names. As an experienced fitbit user, how have the wrist bands held up on your Charge 2 and Alta? Sorry for the slow reply! I just spotted this now. The bands have held up fabulously. I’ve actually worn the Charge 2 and Alta in the shower (but you shouldn’t – I just forgot I had them on) and both survived. They were made with hard-living in mind for those who run, hike, sweat and whatnot so they really are brill in the endurance department!